How can you make a significant amount of money at the racetrack? This is mostly dependent on how smart and intelligent handicapper you’re. This involves making very good decisions on when to bet, how much you going to bet and the kind of bets to place. Therefore, if you’re that kind of a person, you can increase your chances of winning a decent amount of money at the racetrack. What is a decent amount of money at the racetrack? That depends on different people. However, any time you beat the game and leave with more money than you came in with, that is a winning day. How to increase your chances of winning a horse bet? There are several ways to do that. First, if you’re ‘conservative’ you would probably stake a lot of money on one horse to win. If that particular horse wins, you will get a very ‘decent’ return and hence win a large amount of money. Secondly, bet a little to win a lot. How do you do that? Well, you may not want to put a $1000 and more on one horse to win because there are a lot of crazy things can happen in the racetrack such as a horse stumbling and hence get hurt. 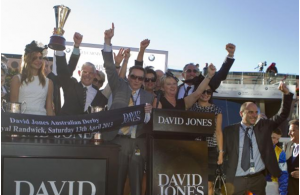 How to pick a winning horse at horse racing? If betting was simple and straight forward, we would all be stinking rich and the bookmakers would all be out of business. Obviously, there are so many factors to be considered when picking a likely winner from a pool of horses: form, jockey, pedigree, trainer, the suitability of the ground to that horse, favorable weather conditions, the weight they are given, the stability of their odds among others. While it’s hard to make a living from horse race betting, it’s not impossible. Horse racing is rich in terms of information and statistics on the past events that can be theoretically used to predict which horse is more likely to win. Odds might be good indicators but it pays to go out of your way and find some valuable information. Some of the information to look at: the recent performance of a horse, the weight the horse is given in the handicap and how that relates to the previous performances, the level of the race, the form of the trainer, the past performances (similar race distances and similar conditions) and the past performance in the particular course. In addition, if you can find a less known factor such as at the last event a horse had a slight injury, then you could be in a better position. Backing a horse whose odd is likely to reduce at the right moment can be a good way to make a profit. This tactic involves studying the market dynamics and assume that it is an indication of inside knowledge. For instance, if an odd of a horse reduces from 16/1 to 10/1, that could mean that bettors have ‘awesome’ reason to believe it might win and hence have been backing it heavily. Therefore, if you get in quickly you might get value at 16/1 before it gets batted on in any smaller odd. It is reasonable to stake a little and win a lot and the way to do that is to become very skilled at exotic wagers. The more exotic the better because fewer people are going to have winning tickets. The nature of those bets are harder. Well, pari-mutuel system is designed in a way such that the fewer people have winning tickets, the more those lucky few win. If you choose to play with exotic bets which involve a low win rate, you should have a considerable large bank-roll specifically set aside for betting. This is because it’s not certain that you will be winning consistently. In fact, you might not have two scores a year. But once it’s your turn to ‘eat’, you will win a lot of money. Even if you win at intervals of 2 years and it pays enough, then that’s all you need. Besides having a substantial amount of money set aside, you should get used to not winning every single time, especially with exotic bets. Sometimes, you might lose wagers and keep knocked out of pick 4’s, pick 5’s and pick 6’s. Your mindset and personality can influence the outcome. If you’re likely to give up easily when faced with frequent loses, then it is advisable to go for win percentage or the win bets. If you can handle frequent loses and like winning a lot of money, then exotic bets might be the way for you to go. In conclusion, do your homework well, know what you’re betting on and good luck.